A Tree Grows in Brooklyn NPR coverage of A Tree Grows in Brooklyn by Betty Smith and Anna Quindlen. News, author interviews, critics' picks and more. Growing up in the dirty, crime-ridden tenements of Brooklyn in the early 1900s, Francie Nolan has to be tough to survive. 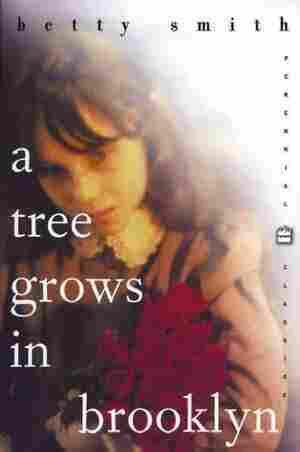 Determined to become a writer, Francie fights her way out of the slums with the resilience of the "Tree of Heaven," a special tree that can grow and thrive even in the most inhospitable environments. October 1, 2012  When she was a teen, Lois Lowry had seen the "dirty" books her classmates passed around on the playground. 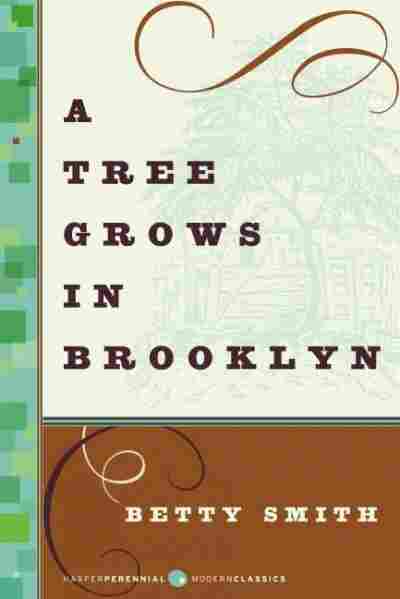 But A Tree Grows in Brooklyn was different. It was gritty, raw and utterly fascinating. February 18, 2008  As a girl, Peggy Orenstein may have spent her summers in Wisconsin, but her heart was often farther east. She recounts her love for Betty Smith's A Tree Grows in Brooklyn and its hard, touching lessons about the difference between what is right and what is true. Serene was a word you could put to Brooklyn, New York. Especially in the summer of 1912. Somber, as a word, was better. But it did not apply to Williamsburg, Brooklyn. Prairie was lovely and Shenandoah had a beautiful sound, but you couldn't fit those words into Brooklyn. Serene was the only word for it; especially on a Saturday afternoon in summer. Late in the afternoon the sun slanted down into the mossy yard belonging to Francie Nolan's house, and warmed the worn wooden fence. Looking at the shafted sun, Francie had that same fine feeling that came when she recalled the poem they recited in school. 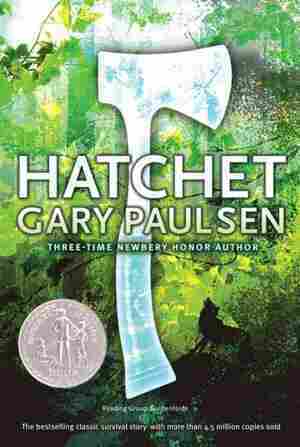 The one tree in Francie's yard was neither a pine nor a hemlock. It had pointed leaves which grew along green switches which radiated from the bough and made a tree which looked like a lot of opened green umbrellas. Some people called it the Tree of Heaven. No matter where its seed fell, it made a tree which struggled to reach the sky. It grew in boarded-up lots and out of neglected rubbish heaps and it was the only tree that grew out of cement. It grew lushly, but only in the tenements districts. That was the kind of tree in Francie's yard. Its umbrellas curled over, around and under her third-floor fire-escape. An eleven-year-old girl sitting on this fire-escape could imagine that she was living in a tree. That's what Francie imagined every Saturday afternoon in summer. Oh, what a wonderful day was Saturday in Brooklyn. Oh, how wonderful anywhere! People were paid on Saturday and it was a holiday without the rigidness of a Sunday. People had money to go out and buy things. They ate well for once, got drunk, had dates, made love and stayed up until all hours; singing, playing music, fighting and dancing because the morrow was their own free day. They could sleep late — until late mass anyhow. On Sunday, most people crowded into the eleven o'clock mass. Well, some people, a few, went to early six o'clock mass. They were given credit for this but they deserved none for they were the ones who had stayed out so late that it was morning when they got home. So they went to this early mass, got it over with and went home and slept all day with a free conscience. For Francie, Saturday started with the trip to the junkie. She and her brother, Neeley, like other Brooklyn kids, collected rags, paper, metal, rubber, and other junk and hoarded it in locked cellar bins or in boxes hidden under the bed. All week Francie walked home slowly from school with her eyes in the gutter looking for tin foil from cigarette packages or chewing gum wrappers. This was melted in the lid of a jar. The junkie wouldn't take an unmelted ball of foil because too many kids put iron washers in the middle to make it weigh heavier. Sometimes Neeley found a seltzer bottle. Francie helped him break the top off and melt it down for lead. The junkie wouldn't buy a complete top because he'd get into trouble with the soda water people. A seltzer bottle top was fine. Melted, it was worth a nickel. Francie and Neeley went down into the cellar each evening and emptied the dumbwaiter shelves of the day's accumulated trash. They owned this privilege because Francie's mother was the janitress. They looted the shelves of paper, rags and deposit bottles. Paper wasn't worth much. They got only a penny for ten pounds. Rags brought two cents a pound and iron, four. Copper was good — ten cents a pound. Sometimes Francie came across a bonanza: the bottom of a discarded wash boiler. She got it off with a can opener, folded it, pounded it, folded it and pounded it again. Soon after nine o'clock of a Saturday morning, kids began spraying out of all the side streets on to Manhattan Avenue, the main thoroughfare. They made their slow way up the Avenue to Scholes Street. Some carried their junk in their arms. Others had wagons made of a wooden soap box with solid wooden wheels. A few pushed loaded baby buggies. Francie and Neeley put all their junk into a burlap bag and each grabbed an end and dragged it along the street; up Manhattan Avenue, past Maujer, Ten Eyck, Stagg to Scholes Street. Beautiful names for ugly streets. From each side street hordes of little ragamuffins emerged to swell the main tide. On the way to Carney's, they met other kids coming back empty-handed. They had sold their junk and already squandered the pennies. Now, swaggering back, they jeered at the other kids. Francie's face burned at the name. No comfort knowing that the taunters were rag pickers too. No matter that her brother would straggle back, empty-handed with his gang and taunt later comers the same way. Francie felt ashamed.